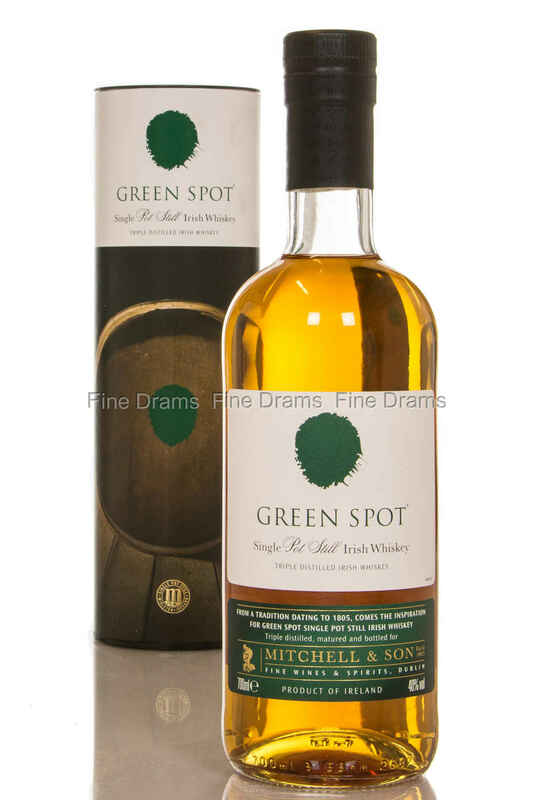 Green Spot is one of two bottlings in the ’spot range’ from the Irish Midleton distillery. This is a triple distilled single pot still whiskey, made from a mash of malted and un-malted barley. Nose: Lovely crisp apples and pears, a lot of sweet barley, with highlights of creamy porridge. After a while some citrus and peppermint. Palate: Lots of light menthol and vanilla cream. Heavy bourbon and caramel. Some golden syrup. Slight floral notes. Finish: Very creamy, long finish with lots of vanilla custard. Overall: Quite simply one of the best typical Irish whiskies around. Great value too. This dram really hits the (green) spot.